The issues regarding Trimble Access Aerial Imaging version 2.2.6 have been corrected and after thorough testing, this release is now available. We recommend all customers of the Trimble UX5 systems to upgrade to this latest version. Trimble Access Aerial Imaging v2.2.6 does not support the Trimble ZX5 multi-rotor system. ZX5 customers are required not to upgrade to version 2.2.6. Details of this version can be found in the release notes and can be downloaded from the Trimble Access Installation Manager. We apologise again for any inconveniences. New features include Point Cloud Rendering updates, a new Magnifier feature, direct link to AutoCAD®, Auto-classification updates, Curb and Gutter smart picking and a Video Creator. Trimble have announced the release of Trimble Business Center (TBC) version 3.82. This release includes two new features: Cutting Plane View and Plane Definition Manager. Working together these two features allow you to efficiently extract CAD data using user defined planes. They are especially useful in creating section views from non-horizontal objects like building facades and surfaces. Find out more, and watch the video, on the Trimble Community or download TBC v3.82 from the Trimble website. As we start a new year, it’s a great idea to check that your firmware and software are on the latest versions. Out of date firmware and software leaves you open to known bugs, or glitches. Up to date firmware and software also means you have the latest features and advances available. Here are the latest updates from Trimble. This new version includes updates for Feature Definition Manager, Traverse Adjustment, the new Create COGO workflows and NGS Download Protocol. See the support note or download the new version. This upgrade includes fixes, enhancements and new features to the Survey Receiver Firmware. More information and instructions on how to download receiver firmware files to your machine are in the Trimble release notes. Patch updates include Autodesk RCP Export, LandXML Export, Spatial Sampling, Auto-Classify and improved handling and display of storage tank courses. The Trimble RealWorks Viewer has also been updated to use Trimble Scan Explorer when TZF files are included in the project. See the release notes, or download the patch by going to the Trimble RealWorks website and in the menu on the left selecting Product Resources, Support and Downloads and then Downloads in the pop-up box. If you didn’t update your firmware before the leap second and are having problems, this upgrade may help. Or find the latest version on our website. It’s easy to stay up to date when you are Trimble Protected. If you would like further information on any of these version upgrades, please contact your local AllTerra office. 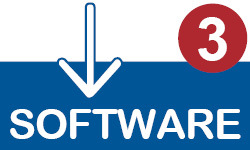 Having the latest version means your software has the latest features and advances. That’s why we’re bringing you the latest updates from Trimble. This version resolves a number of issues with then new Additional string feature. See the release notes to find out more. Trimble have announced the latest version of the Trimble 4D Control monitoring software, version 4.6. This version provides exciting new capabilities and advanced features for the analysis of monitoring projects. See more of the new features. A Trimble S9, lost…..and found in just 30 minutes! © Copyright 2016 AllTerra. All rights reserved.